There are many things we know to be true in the fashion world, but one of the biggest is that A-listers do not feel the weather the same way the rest of us do. For example, on the front row and at parties during London Fashion Week, we spied many a celeb in spring-ready outfits (even when the weather was a little chilly). Case in point: Sofia Richie's sheer top and black vinyl coat that she wore to the Topshop Unique show. 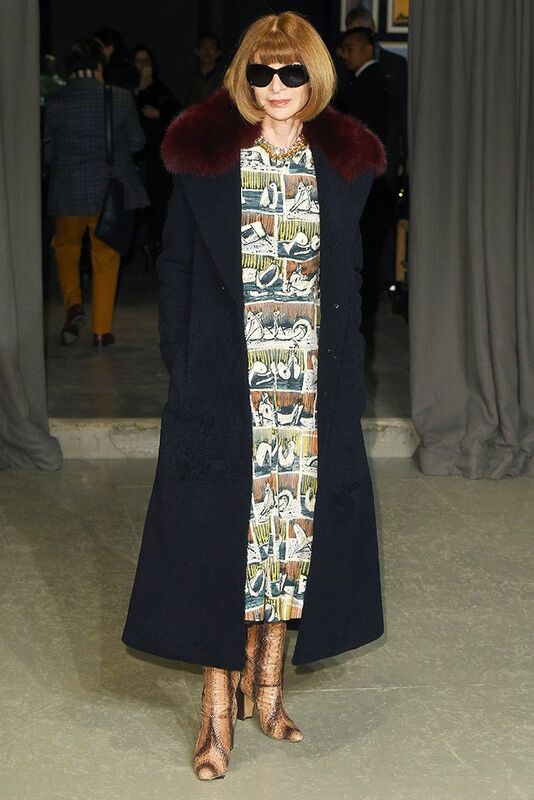 Stella Maxwell was also wearing an iteration of the jacket, albeit in a parka version. Of course, the biggest FROW belonged to Burberry, which drew the most A-listers of the season so far. Olivia Palermo, Penélope Cruz, Naomi Campbell, Laura Bailey, Anna Wintour and Jourdan Dunn all turned up (mainly wearing Burberry) to see what the heritage brand was offering up. Other outfits that we will be pinning for later included Alexa Chung's pretty summer dress and basket bag (er, hello, we will be buying one of those), although the Chungster opted for some sensible black tights too. Elsewhere, we spied Jourdan Dunn, Olivia Palermo and Laura Jackson in new-season looks that have us wishing for summer to hurry up. To see these pictures (plus much more), keep scrolling for our guide to the best dressed at London Fashion Week. WEAR: Woody Woodpecker x House of Holland. Want more outfit inspo? These are the seven S/S 17 fashion trends you need to know about.